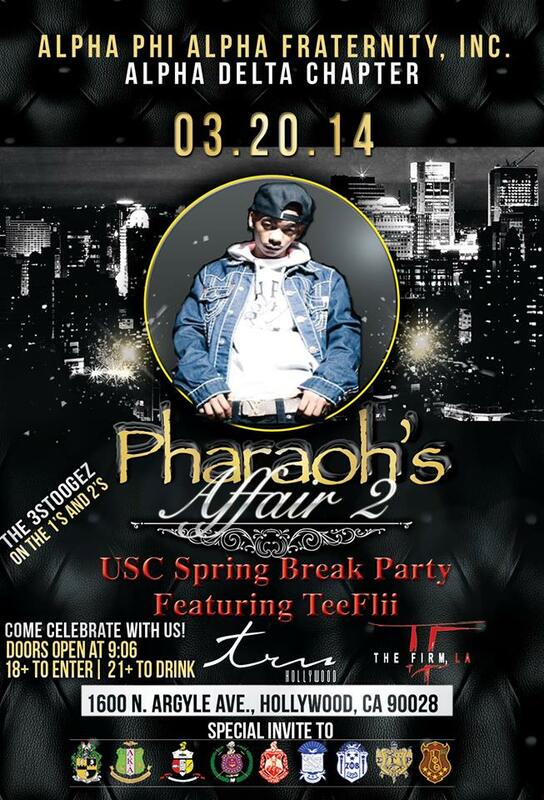 This is the official Spring Break party for USC! You know you want AD! Table service going all night! After that expect Hollywood prices! USC, CSULA, OCCIDENTAL, UCLA, LMU, CAL, CSDUH, CSULB, UCI, CAL POLY POMONA, CSUF, CSUN, CSUSB, UCRDon’t miss out!! !